Free Developers Edition of either SAP Sybase ASE or IQ! The developer's edition has most license options enabled, but only restricted with a light limit of 25 user connections and may not be used for production purposes. When you're running ASE on Linux you won't be able to run it on older versions of Linux such as RedHat 7.x - you really need to run RH Enterprise Linux (or similar). The free Developer's Edition for ASE 16.0 can be downloaded here (available on all supported ASE platforms). A free Express Edition of IQ 16.0 for Linux/Intel and Windows (all 64-bit only) can be downloaded here. The IQ Express Edition is limited to 5 Gb of data space and most (but not all) IQ options are included. Appeon 2015 To Be Released this September! In addition to Microsoft Internet Explorer, now Appeon Web application can also run in the following Web browsers: Google Chrome, Apple Safari, Mozilla Firefox, Opera. on the Windows platform. Clockwise, starting at the top right - the SALES PowerBuilder application webified by Appeon2015 and running in the latest releases of: Safari; Chrome; Opera and FireFox web browsers! Here is an actual test I performed on my Appeon Beta test PC! Appeon Debugger now supports IE 6 thru 11 (both 32-bit & 64-bit). More Appeon Server APIs are added to facilitate the managements of user sessions. DDCalendar property for the DataWindow Column control is supported. MERGE statement for dynamic SQL is supported. The Appeon Resize PBL has been enhanced to automatically resize the controls in the DataWindow object. NFC APIs can handle errors gracefully. Notification APIs can add title to notification on the Android device. Airman running on my actual iPhone. Wow, did I ever have a great weekend! I was able to help out a friend of mine Greg Winfield who owns Volairus - the home of the famous AIRMAN PowerBuilder application. You might remember in the days of PocketBuilder, the first production application built with this tool was the Airman Mobile system deployed to NewYork city's LaGuardia Airport. I was the person who built that first PocketPC mobile application for Greg. However, my pleasure this weekend was to allocate an E2.Medium Amazon Cloud space and load it with the Sybase SQL Anywhere database engine and the Appeon2013R2 web and mobile software that webifies and/or mobilizes almost any PowerBuilder based application. 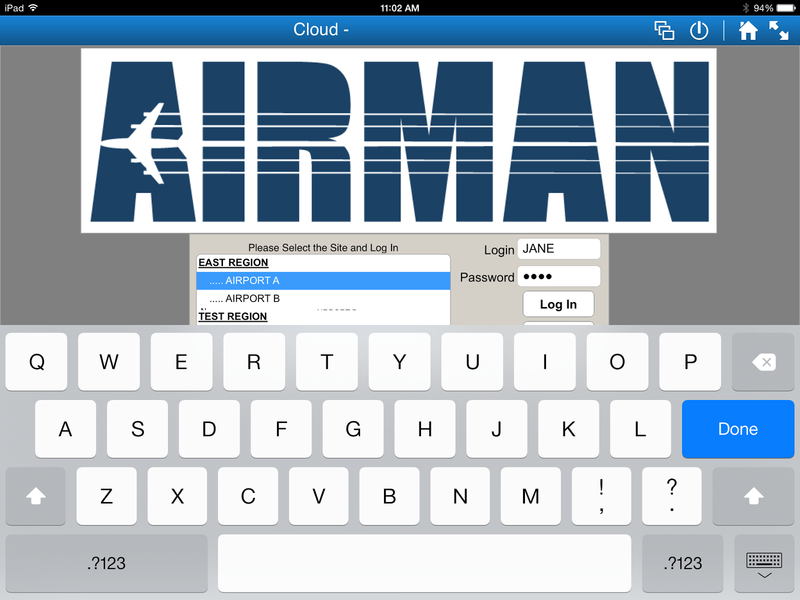 In this, I used Greg's AIRMAN application that is installed in many airports around North America. Deploying AIRMAN in the Amazon Cloud using Remote Desktop. The first stage was to get Greg's application and configure it to work on my development machine. From there, I deployed this to my local Appeon Server and unit tested the application under the IE web browser. Once that ran clean, I used Appon's "application packager" to create an MSI installation file - which I uploaded to the Amazon E2 machine. Once the MSI from the Appeon packager is copied to the target Appeon Server machine, all I had to do was run the MSI to deploy the application and configure a database connection in Appeon to the SQL Anywhere based Airman database (although Airman works with SQL Server, ASE, Oracle, etc). 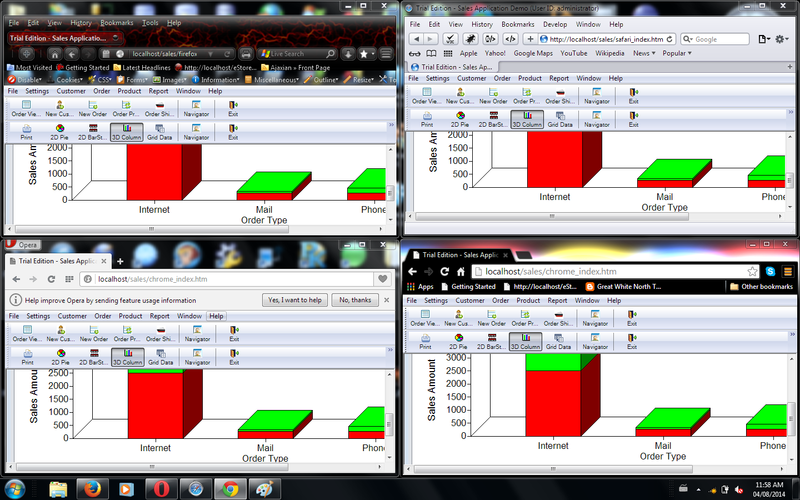 After that, the application started up first time and ran perfectly in the Internet Explorer web browser! AIRMAN running from the Cloud in my IE web browser. 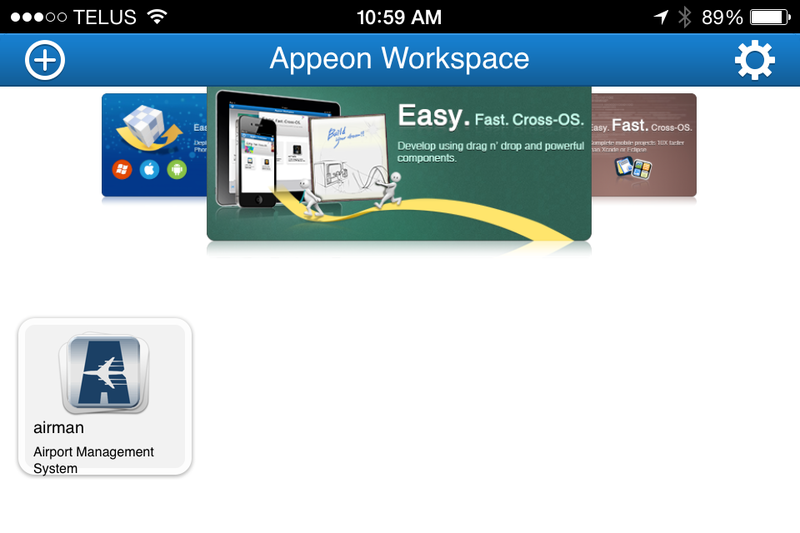 The next step was to point my Appeon WorkSpace application on the iPhone and iPad to the Amazon based Appeon Server cloud machine. After that, the native compiled iOS Airman application was downloaded to these Apple devices and the AIRMAN application ran perfectly these as well. Actual Amazon based AIRMAN application running on my iPad. The final test was to fire up my Samsung tablet and the Appeon WorkSpace application and point this to the Amazon Cloud E2 machine. Once that was done, again the Airman application came alive on this super Android device and ran perfectly the 1st time! 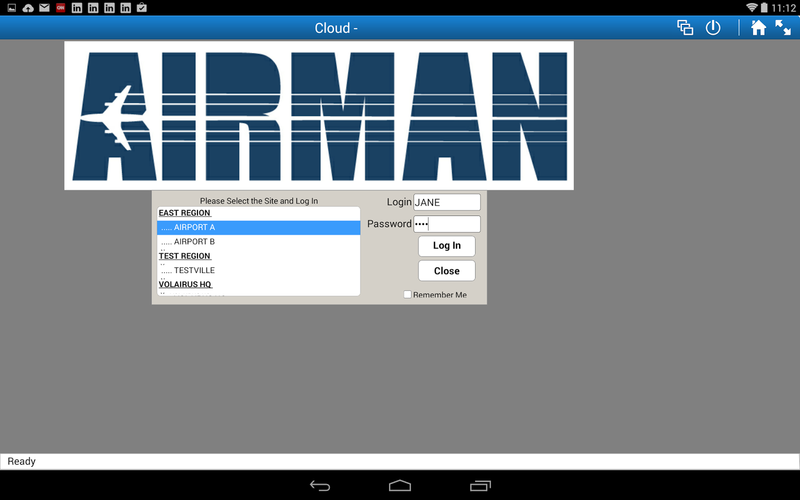 The Android version of AIRMAN on my Nexus10 tablet a la Amazon Cloud & Appeon! All in all, an out standing weekend with Appeon, Amazon, SA, and the AIRMAN application with only a few hours of work. 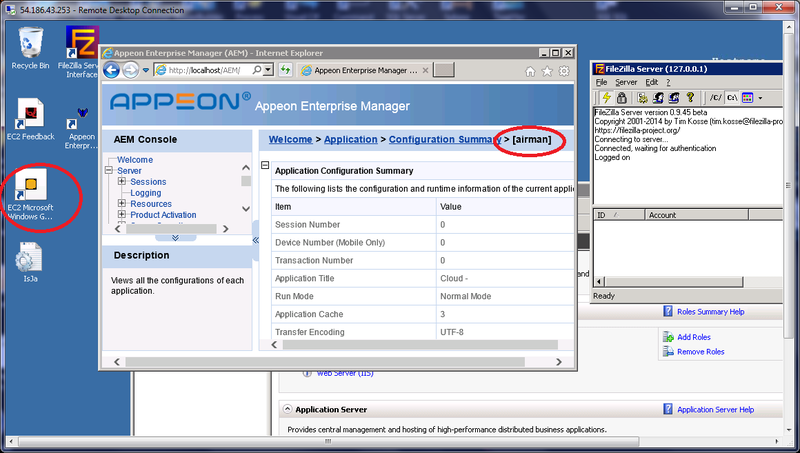 Watch out Cloud ... Appeon is bringing you its PowerBuilder applications as easy as 1-2-3!